Senator Ed Markey said “it’s going to be up to the Republicans to decide” if a compromise is reached or not. The message to immigrants brought to the country illegally as children from members of the state’s all-Democratic congressional delegation: We’re with you. We will continue to advocate for you. But Republicans control your fate. As the deadline nears to reach a deal allowing tens of thousands of immigrants to stay in the country, seven members of the 11-member delegation say they’re willing to negotiate with Republicans. But they say that has been difficult. Congressional Republicans and Democrats have come up with immigration deals that have been rejected by the administration. President Trump’s administration has outlined a four-point legislative framework that offers a pathway to citizenship for some 1.8 million young immigrants, but asks in return for significant limits to legal immigration and $25 billion for a wall along the Southern border. Political and immigration policy analysts say Democrats ceded much of their negotiating power by agreeing to end a three-day government shutdown after Congress failed to include a fix for the Obama-era Deferred Action for Childhood Arrivals program, or DACA, in last month’s temporary budget deal. The deadline to address the program, which expires March 5, is Thursday. With midterm elections looming, she said, Democrats must decide whether to take a middle-of-the-road approach or appeal to the more liberal wing of the party by holding firm on DACA and immigration. Gambling on the latter, she said, could mobilize large numbers of voters who supported Vermont Senator Bernie Sanders during the presidential election. It also might mean losing seats in states that Trump won. Jeon, who has taken the year off to advocate for so-called Dreamers, emigrated from South Korea with her family at age 3. Democrats, she said, are making decisions they believe will benefit Dreamers but would ultimately hurt their friends and family. “Trying to do immigration reform on the fly . . . is a receipe for disaster down the road,” he said. Trump rescinded DACA — which shields nearly 700,000 young people from deportation and allows them work legally — in September, giving Congress six months to act before the program expires. The president doubled down on his legislative framework for immigration reform and border security during his State of the Union address, outlining the plan in language that many Democrats — and some Republicans — saw as inflammatory and counterproductive. “President Trump was playing to his base during the State of the Union, and ultimately it’s going to be up to the Republicans to decide” if a compromise is reached or not, said Senator Ed Markey. 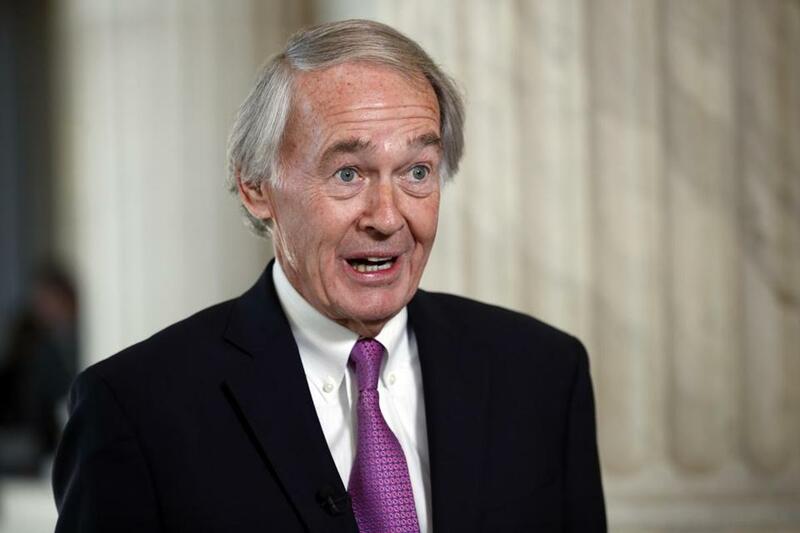 Markey said there are senators in the GOP working toward an agreement, because the party doesn’t want to face the consequences if one is not reached by the March deadline.